Shamus Culhane (1908–1996) enchanted several generations of animation lovers with his characters Pluto, Pinocchio, Woody Woodpecker, Betty Boop, and Popeye, as well as with his famous "Heigh-ho" sequence in Snow White and the Seven Dwarfs. He started as an errand boy at age fifteen at the Bray studio but went on to become president of his own company and later head of the animation studio at Paramount. 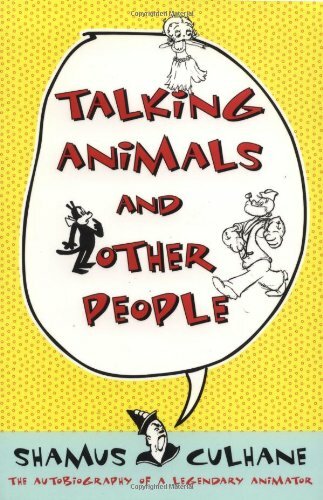 Talking Animals and Other People is both a memoir of Culhane's life and career and a history of the art, taking readers from the earliest days of animation, the creation of the flipbook, and the first animated motion picture to the "assembly-line" Saturday morning TV cartoons and recent advances in computer animation. Culhane gives an unsparing insider's view of the industry: from harsh labor relations and brutal internal politics to comical anecdotes and frank portraits of animation giants. Filled with over 150 photographs and illustrations, Talking Animals also includes detailed descriptions of the craft, technique, and processes of cartoon-making. Entertaining and informative, this book brings to animated life the everyday world of this beloved art form and the man who helped build it.